Making it easier for you to communicate with your target audience. 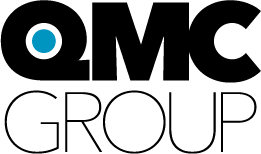 Why choose The QMC Group? The QMC Group is equipped with state-of-the-art UV Offset printing equipment and has an equally capable and experienced team, which not only works to provide the best solutions within the industry but also understands complex order requirements with ease. The QMC Group thoroughly understands the pressure that exists on businesses these days to keep ahead of the competition; hence, we have designed our processes in a superior manner to ensure we can reduce our printing costs to offer our customers the best rates within the industry.